KANSAS CITY, Mo. 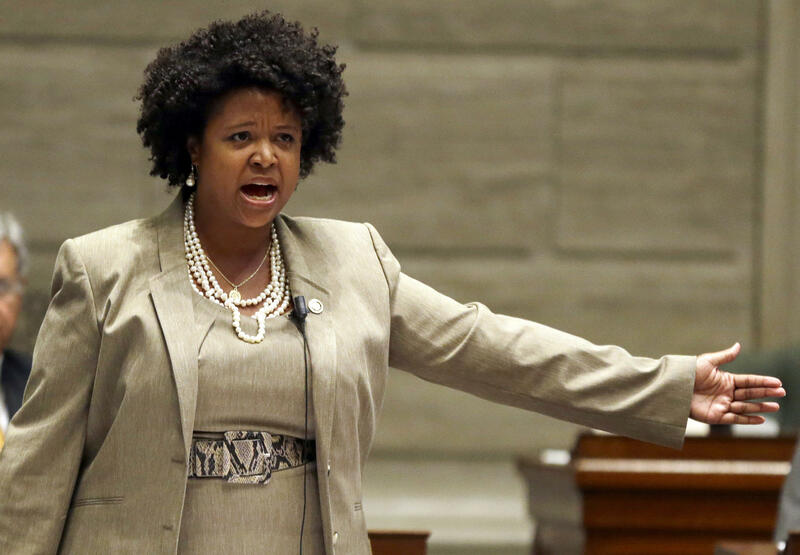 -- A Missouri lawmaker acknowledged Thursday that she posted and later deleted a comment on Facebook about hoping for President Trump's assassination, saying she was frustrated with the president's response to the white supremacist rally and violence in Charlottesville, Virginia. Democratic state Sen. Maria Chappelle-Nadal said she was wrong for writing the post and didn't mean what she said, but she refused calls to resign. She said she wrote "I hope Trump is assassinated!" in response to a post that suggested Vice President Mike Pence would try to have Trump removed from office. "What I wrote down on my private Facebook page, was it wrong? Absolutely," she told The Associated Press. "But I am going to continue to talk about the anger and the frustration that led to that." Among them were Missouri Senate Democratic Leader Gina Walsh, who condemned Chappelle-Nadal's post as "horrible." The chairman of the Missouri Democratic Party, Stephen Webber, said the comments were "indefensible" and the party "will absolutely not tolerate calls for the assassination of the president." "I condemn it. It's outrageous," added Democratic U.S. Sen. Claire McCaskill, the state's senior senator. "And she should resign." Missouri's Republican Gov. Eric Greitens and the state Republican party also called for her resignation, but Chappelle-Nadal said she had no intention of doing so. "I refuse to resign for exercising my First Amendment rights, even though what I said was wrong," she said. The U.S. Secret Service released a statement saying it looks into all threats against the president, "whether they be direct, implied, or comments in passing." Chappelle-Nadal, from the St. Louis suburb of University City, said constituents in her predominantly black district are concerned about how Trump blamed "both sides" of the clashes in Charlottesville. The violence included a man slamming his car into people protesting against the white supremacist rally, killing one woman and injuring more than a dozen other people. "By our president saying things such as he does, supporting white supremacy and the Nazis and KKK, it's causing a lot of trauma," Chappelle-Nadal said.